When couples divorce, crafting a parenting plan to regulate child custody is one of the more challenging aspects of the process. The age of the child and the employment of each parent are major factors affecting the type of arrangement that best suits the circumstances of the family. The best interests of the child is the primary motivating factor in these decisions, but discerning what a child needs to ensure the best possible opportunity to develop is likely to change over time. What is best for a child at the age of six is likely to differ substantially from what a child might need at the age of 15. 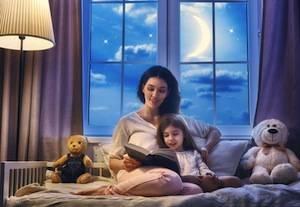 Further, the circumstances of the parents may change as jobs come and go and other life adjustments are made over time. 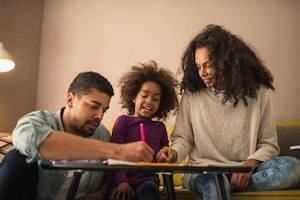 As a result, allocating parenting time and responsibilities may need to be shifted to address the changing needs of the child and the ability of each parent to adequately fulfill these responsibilities. While each parent is obligated to follow the terms of a parenting plan, Illinois law does allow parents to request modification under certain circumstances. Leaving a marriage with domestic violence requires planning and support to ensure the victim and his or her children are safe. Usually, a victimized spouse must leave in secret and must also leave most possessions behind, so the abusive spouse does not discover the plan in advance. The law recognizes that domestic violence is an all-too-common issue in marriages, and therefore seeks to make keeping an abuser away easier for victims and their families. In 2014, Illinois law enforcement received more than 65,000 calls related to domestic violence. Hence, knowing how to get retain legal protection against an abusive spouse, as well as how the Court views this issue in divorce/child custody cases, is crucial. In the days leading up to engagement and marriage, thinking about the negative possibility of divorce is not a topic most couples want to contemplate. Visions of growing old and all the things they hope to accomplish together usually overtake any concerns about the relationship not lasting. While expecting a marriage to last a lifetime is the reasonable way to approach a new relationship, no one knows the future. Hammering out how to handle property division and payment of support in the event of divorce through the use of a prenuptial agreement may not be romantic or optimistic, but sometimes pragmatism is more important in the long-term. These conversations are especially important if a couple is older and/or is bringing a lot of assets and other financial resources into the marriage. Figuring out these issues before divorce is on the table will make the process of dissolving the marriage easier by reducing the likelihood of disputes and the time needed to negotiate a settlement. The terms of these agreements must be memorialized in writing and executed prior to marriage. Further, Illinois regulates the formation and types of provisions these agreements can legally contain. Regardless of whether the decision to divorce is mutual, at least one spouse will typically deal with substantial financial fallout. While some couples make enough money individually to weather the repercussions of divorce with minimal adjustment, in many households one spouse makes substantially more than the other. This disparity means that the lesser-earning spouse is forced to scramble for alternative ways to obtain money. Borrowing from family and friends or selling possessions are methods commonly used to make up the shortfall. While this situation is hardly sustainable in the long-term, the situation should still be addressed in the short-term to prevent irreparable financial loss. Illinois allows parties with pending divorces to request temporary support until the dissolution is finalized and property division and spousal/child support is established on a more permanent basis. Ex-U.S. Rep. Jesse Jackson, Jr. and his wife, former Ald. Sandi Jackson, are currently facing this situation. Sandi Jackson alleges Jackson Jr. is not contributing to household expenses while their divorce is pending, leaving her to ask friends for money and selling belongings to make ends meet. Given how contentious the issue of support is in divorce, understanding when support may be temporarily awarded is important. Being a single parent is one of the hardest roles someone can fill. No one is there to take over and give the parent a break, and inevitably more of the financial burden falls on this parent. However, all parents have an ongoing obligation to financially support their child until he or she becomes a legal adult, and divorce or legal separation does not relieve this duty. 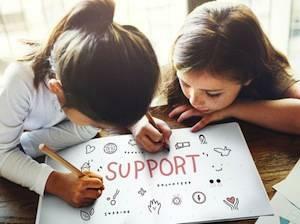 Child support is even more important today with the ever-rising costs associated with raising a child that is partially connected to new expectations of participation in extracurricular activities and use of technology. Thus, any parent who provides the bulk of childcare needs to be able to rely on regular child support payments to ensure enough money is available to provide for the child's needs. Child support provisions are included in all divorce decrees between parties who share minor children and can also be obtained through a paternity action if the child's parents are unmarried. Understanding how the Court determines how much the child support payment should be, and how to enforce the obligation if a parent fails to pay, is essential information for any parent receiving this money. The traditional definition of a family, comprised of a mother, father and children, has evolved into a much more fluid notion in modern society. As society becomes more accepting of different gender identities and lifestyles, the concept and content of a family must progress as well. 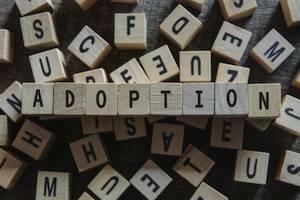 A longstanding method of expanding a family beyond conventional reproduction was through the adoption of children, including adoption by step-parents. Adoption offers blended families a greater ability to find cohesion, and gives a step-parent legal authority and rights over the life of a child likely viewed as equivalent to his/her own. Step-parent adoptions may appear as somewhat perfunctory and require minimal paperwork because the child is not from an outside source. However, adoptions of children are always treated with a high degree of formality because of the nature of the rights being granted and the necessity of terminating one parent’s rights in favor of the step-parent. When systemic problems appear in marriages that threaten their long-term survival, couples will typically try a number of palliative measures to fix these unhealthy issues. Divorce is not an option most go to easily or quickly but often sits as a possible remedy in the background. Commonly, couples will look to the least disruptive method of resolving unhealthy issues before escalating to alternatives that may affect other family members, especially children. One option that is short of divorce, but allows struggling couples to obtain a formal arrangement to govern certain legalities as they live apart, is legal separation. This legal route differs from divorce because the marriage is not dissolved, but stills permits a Judge to impose legal obligations and property arrangements similar to those decided in divorce cases. Legal separation requires the filing of a petition with the Family Court, so securing the services of an experienced family law attorney is the best way to ensure the procedure goes smoothly and results in the optimal outcome. When couples decide to divorce, the belief that there is only one divorce form available is natural — especially considering the depictions of divorce on television. The typical TV version of divorce involves a long, drawn-out process that culminates in a trial where both parties verbally attack each other in Court. Certainly, this kind of divorce is possible, such as in the case of a divorcing couple who recently fought over Cubs World Series tickets. However, another way exists. 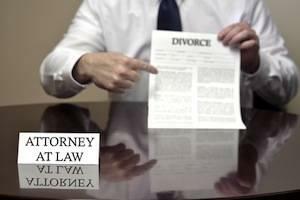 Traditional divorce cases are referred to as formal dissolution in Illinois. An easier, faster and less expensive way to end a marriage is called joint simplified dissolution. This option is not open to everyone because a number of requirements must be met to qualify. Yet for those who can use this type, joint simplified dissolution offers a streamlined route to divorce that could be important for parties who want a quick resolution to their case. The birth of a child brings joy and excitement to parents, family and friends. This event also marks the beginning of the time a parent has to shape the child into the type of person he or she will develop into as an adult. People commonly assume that all parents have the full bevy of legal rights typically held upon birth. This is correct for mothers and married couples. However, unwed fathers have no right to custody or visitation with a child until paternity is legally established. Paternity is the legal recognition that a man is the father of a child. The establishment of paternity is necessary for unwed fathers who wish to assume the all the rights and obligations parents have over a child. Illinois offers several options to confirm paternity; however, not every legal procedure has the same effect. Therefore, understanding the consequences of each alternative is important when determining which to choose. 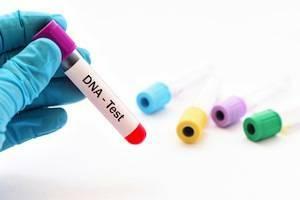 DNA testing is the gold standard for proving the paternity of a child, and is used today to unravel mysteries around unknown parentage. People are now even submitting DNA samples to online ancestry websites to find lost relatives and identify absent parents. Just a few years ago, this type of search would have been impossible, but advances in technology continually make connecting with others easier. Unmarried men wishing to remain an active presence in their children's lives need to understand the legal requirements to gain their parental rights. 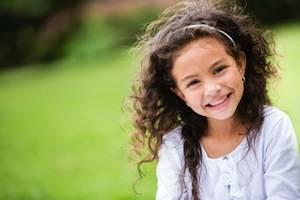 No parent wants to tell his or her child the news of an impending divorce, especially if the child is young. There is no adequate way to explain why a divorce is happening, or to fully help the child understand what divorce actually means. In the best situations, parents try to make the process as stress-free as possible by making an effort to work together and actively attempt to minimize conflict. Completely eliminating the disruption of the child's life is not realistic; however, taking steps to keep the child in the loop about changes in daily life, if age appropriate, will go a long way to mitigating some of the negative impacts of this decision. Deciding which parent will handle the bulk of the childcare responsibilities and who will make the major decisions related to the child's welfare, are key aspects of any divorce case. Typically, these obligations are shared by the parents. Still, situations exist that justify giving one parent full rights over a child. Generally, people lump all child-related family law decisions under child custody, but Illinois no longer uses this phrase. Instead, the law divides these issues into two aspects of parental responsibilities: parenting time and decision-making authority. Much of the focus around the responsibilities of parents is on parenting time, which is certainly important. 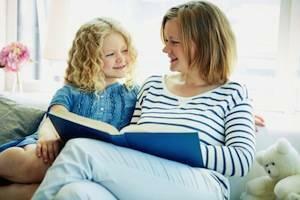 However, which parent has decision-making authority for the child is equally important. Few people walk away from a divorce happy. Children are especially affected when their parents sever ties — children often feel alone and isolated. In response to these emotions, children tend to withdrawal or act out. Many states, Illinois included, require parents who are involved in active visitation cases to attend parenting classes. These classes aim to teach parents effective communication skills to help their children better adapt to the changing family situation. 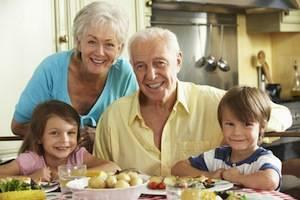 Additionally, the classes can help to reduce litigation and conflict between the parents. As more parents become attuned to the long-term impact of divorce on child development, new parenting time arrangements are becoming more popular. 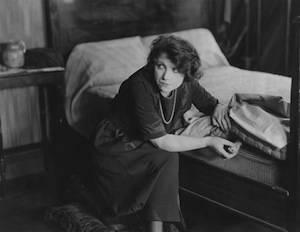 For better or worse, divorce is an event and concept that is firmly rooted in modern life. Yet while divorce is not a recent invention, divorce does not hold the stigma of previous generations. A recent article looked at the history of divorce in America and noted that Americans have looked to this legal remedy to end untenable marriages as early as the American Revolution. In fact, Americans connected the right to dissolve union with England with the analogous right to end unions as couples. However, divorce is never an easy decision, now or 200 years ago. Struggling couples may spend tremendous amounts of time and effort trying to save their relationships, but sometimes remaining together is not a viable option. Once the decision to divorce is made, the practical consequences of untangling two lives come into focus. Who will keep the family car? Should the house be sold? Where will everyone live? These are all questions that must be answered in a relatively short period of time, perhaps even before filing for divorce. At some point, though, addressing the mechanics of asking a Court to end a marriage is necessary, and consequently, understanding what the law requires from a party seeking a divorce is important to the process. Divorce is a word with big meaning but even greater implications. At its most basic, divorce means the end of a marriage and the accompanying legal rights and obligations carried by married couples. However, when a couple initiates a divorce, they also unlock a series of legal issues that must be addressed before their divorce can be finalized. Among these issues is the division of marital property — a considerable point of contention, given the importance of financial resources and contributions each spouse made to the marriage. Amassing assets requires hard work, time and sacrifice. Consequently, when divorce threatens to dismantle this hard-won structure, parties tend to push back against giving more than is absolutely necessary. As a reflection of being a no-fault divorce state, Illinois divides property according to what is equitable or just. Only marital property is subject to distribution. 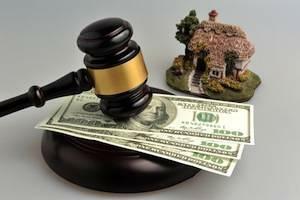 Therefore, determining what exactly is marital property in a divorce case is a key issue. 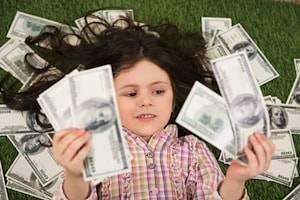 As children grow, their financial needs tend to increase. College tuition is no exception. 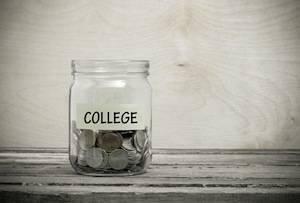 In today’s world, student loan debts are staggering for new graduates, and many families struggle to financially help their children to go to college. When parents are divorced, the situation can be even trickier, especially when parents do not see eye to eye on the subject. However, recent revisions to Illinois law have clarified the guidelines for educational support orders, allowing parents to better understand their future potential obligations. Illinois law requires Courts in divorce proceedings to divide any marital property between the parties in an appropriate and fair manner. Moreover, all relevant factors in the case must be considered. One of those factors for the Judge to consider is the dissipation of marital assets by one or both spouses. Dissipation is the legal term for when a spouse wastes or misuses assets for his or her own benefit for a purpose unrelated to the marriage, as the marriage is experiencing an irreconcilable breakdown. Recent revisions to Illinois law require that parents submit a parenting plan to the Court whenever there is a dispute about the allocation of parental responsibilities, or what was previously known as custody and visitation. 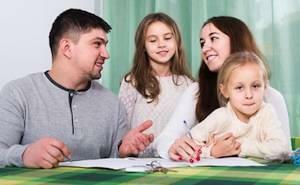 Parents can also agree to modify their parenting plan and simply submit the plan to the Court for approval. Whatever the case may be, your parenting plan must address certain concerns that involve your children. Essentially, your plan must contain not only the elements required by Illinois law, but also any provisions that may be unique to your family or important to you. Either parent has the right to ask for a change in his or her Illinois child support payments if there has been a substantial change in circumstances since the last order. There are certain types of changes that might qualify as a substantial change in circumstances. Depending on the situation, the Court can decrease or increase the amount of the child support payments. What Qualifies as a Substantial Change in Circumstances? President Obama recently signed the instrument of ratification for the Hague Convention on International Recovery of Child Support and Other Forms of Family Maintenance. The purpose of this Convention is to establish uniform, simplified, cost-free rules and procedures for processing child support cases on an international level. Ratification of this Convention is groundbreaking; prior to the Convention, there were no standardized and efficient procedures for international child support cases, and each country had different costly and time-consuming procedures to follow. This Convention represents the first global child support treaty ratified by the United States. Now, American children who have a parent living in a foreign country who is party to the Convention will have additional recourse to collect the financial support that they need in a much more timely manner. There are an estimated 15 million child support cases in the United States, with about 150,000 international child support cases. The newly ratified Convention addresses financial obligations that arise from a relationship between parent and his or her child who is under 21 years of age. 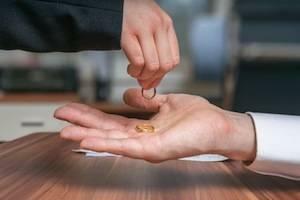 In addition to child support, the Convention also contains enforcement procedures for spousal support.